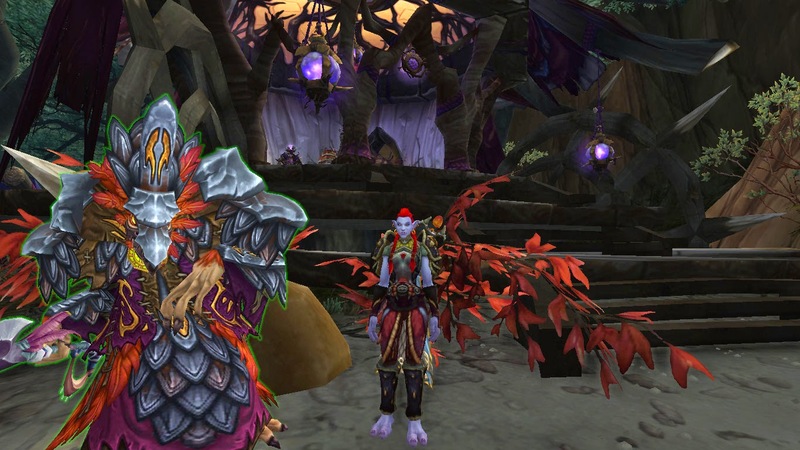 Azeroth Mommy: Things I Love about Warlords of Draenor. I'm sure everyone has their own likes and dislikes in Warlords, just like in any World of Warcraft expansion, but just for the heck of it, I'm going to share things in the current expansion that I personally love. For some reason this expansion has really got me into the story line, and the cinematics make it that much more interesting. Blizzard has always been good at doing them in expansions, but the current ones are .... I guess I could put it, emotional in a way. Especially with the whole Garrosh and how far he's fallen. I realize there are probably other cinematics that I haven't seen or have skipped that are just as great, but these ones stand out to me. The new character models really allow Blizzard to portray the emotion of the story in a way that they previously couldn't do. Some people have a love hate relationship with garrisons, ( one being my husband ). I enjoy them. I like the fact that you can customize them ( to a certain extent ), with specific buildings for your professions, and how you can have guild banners displayed proudly. Also eventually you can display monuments around your garrison, with the achievements you have. Some of my favourite buildings in my garrison are : The Barn: I love being able to trap something and take and put work orders in, then a while later, have feasts for my raid team/ guild bank, without the pain of having a ton of mats in your bags. The second building that I love is the Stable: I like collecting mounts, and I like that they can walk around in the designated area. Perfect for my Blood Elf hunter. Specifically the Arokkoa quest line, and the Elemental one. I love the story of how the Arokkoa came to where they are, and the mini quest where you get to play as one, and get his point of view ( forgive me, I forget his exact name ) It just felt fresh, like something I haven't done before, and I thought it was carried out well. Then the Elemental line. Again to me it felt like something new, brought back a little bit from Cata ( or the feel of Cata for me) and was interesting. Lastly............... my FIRST ever giveaway! 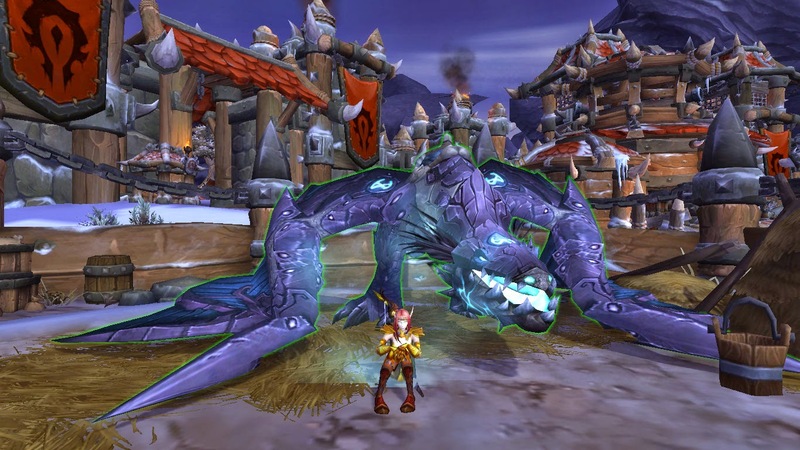 I'm giving away a World of Warcraft Pet . Winner can choose which one they would like. 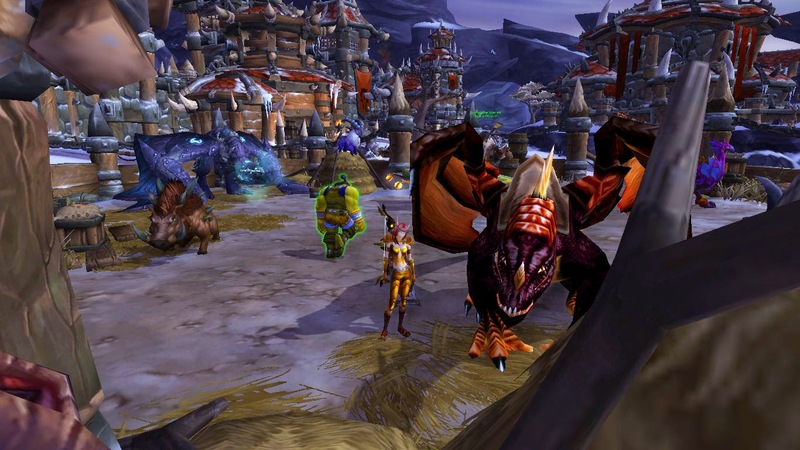 Answer these two questions : What do you LOVE about the current expansion Warlords of Draenor? What do you DISLIKE about the expansion.... and GO! I loved the story this time around. I loved that it felt like Uldum again and that there was something for me to get invested in. I haven't cared about the WoW lore in a long time, so this was great. I disliked how daily-quest-like the Garrisons turned out to be. For an expansion that was supposed to be moving away from that model, I couldn't help but feel the micromanagement that Garrisons require is even worse. The story this time around is pretty great. I don't usually like questing ( reading the quests as I go ) this expansion though, I've read every single one that I've done. I agree with you on the Garrisons feel like daily's all over again, sometimes they get rather annoying. forcing us to join a guild for mythic highmaul (you must group up with others you know to do mythic is what i heard) forcing us to team up to complete some gold invasions is another thing. No new enchantments for other gear only necklace,ring,and few others for enchanting making all you learned useless due to not able to enchant on gear 600+. Iron Horde should be with the other side races :) That would be awesome. I didn't know that they required you to join a guild for mythic Highmaul. :/ I'll add that to my dislikes. 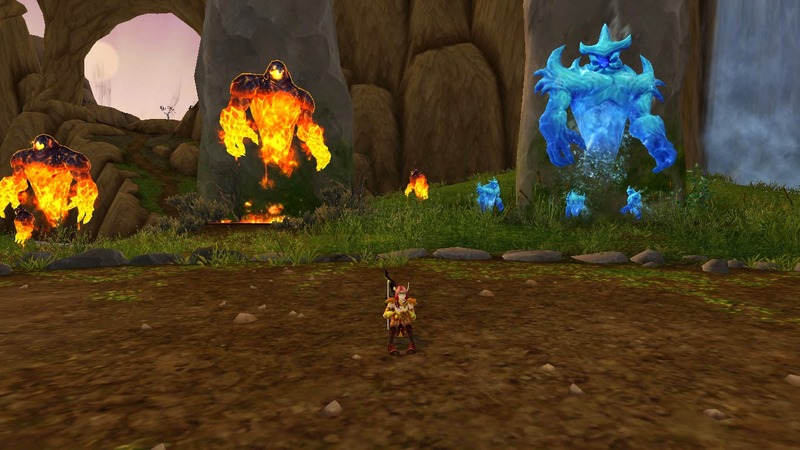 Firstly, the most COOL thing about the expansion for me was questing in Frostfire Ridge. 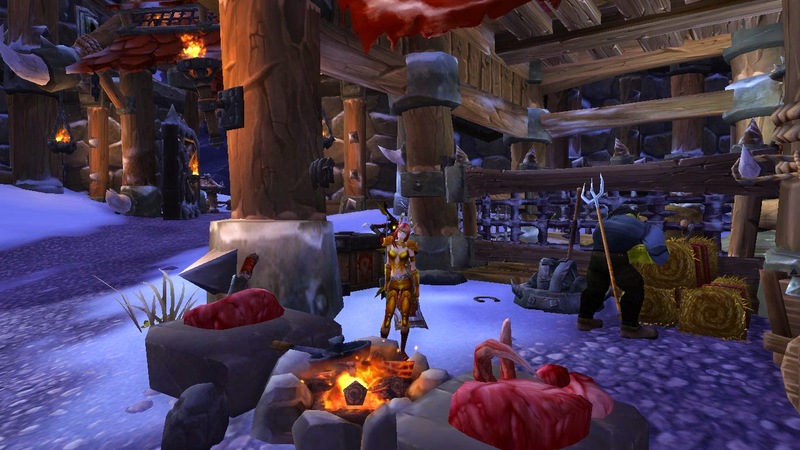 being in the guild Frostwolves and then hanging out with Durotan and constantly hearing "FOR THE FROSTWOLVES!" when you finish quests and stuff, was pretty darn nerdy awesome. I was reading the comments above, for example Gamer R&R's comment about forcing you to join a guild for mythic highmaul - I don't know that's any different from doing Heroic Garrosh in the early days because I'm sure people weren't really PuGging that. Even so, you can still PuG mythic highmaul I'm sure, you don't have to be in a guild to do it, you just have to be on the same server. Professions are a bit weird this time around, but as someone who never made money from professions it's not really a big deal to me. That's tough, because there is so much that I DO like! Probably having to use flight paths all the time - the costs DO build up. I am tempted to make that useless waystone building thing just so I don't have to fly places and save some money! Professions are weird this expansion..... not sure if I like or dislike them lol. I'm on the fence. Yes the using flight paths all the time gets a little old haha. Hopefully they'll release flying soonish.